Another beautiful vehicle wrap by Apple Graphics! 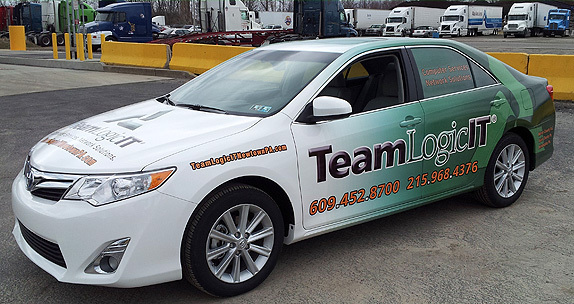 This brand new Toyota Camera wrapped with a high impact, visible design for Team Logic IT. 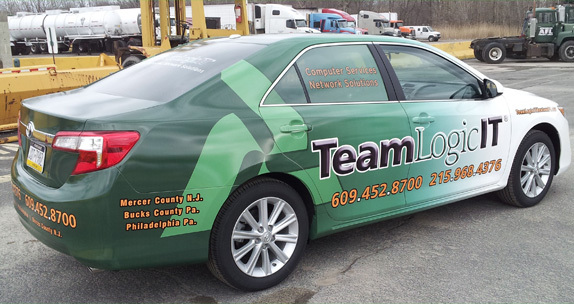 We were able to use the vehicle's body paint color to blend in the design of the entire wrap. The Final product / wrap came out amazing and the client is very happy with the results! 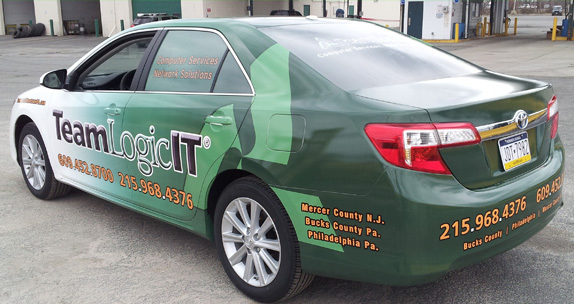 Every Custom Philadelphia Vehicle Wrap we put out is a moving billboard on the road!